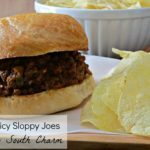 This twist on traditional Sloppy Joes gives them a little kick without taking the flavor too far from the original. 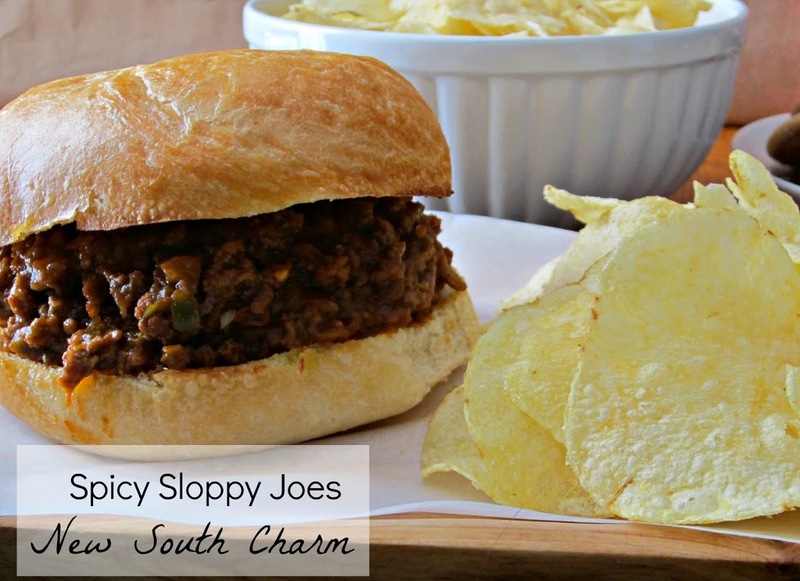 Sloppy Joes have been a favorite food of mine since I was a little girl. My mom used to make them when I was a kid. I always love the combination of the bread and tangy tomatoes. Of course it didn’t hurt that they were messy and fun to eat. In order to kick these Sloppy Joes up a notch I’m adding some heat from the spice cabinet. This recipe features both chili powder and red pepper flakes. See I told you SPICY. If the chili powder and red pepper flakes don’t bring enough heat for you then you can add hot sauce. It’s all a matter of taste. Dice the onion, bell pepper, and garlic cloves then set aside. In a small bowl mix together dry spices and brown sugar then set aside. In a large pot or skillet melt butter over medium high heat. Brown beef adding diced vegetables halfway through. Add salt and pepper to your taste to skillet. Continue cooking until meat is browned and vegetables are tender. Next add in the ketchup, spice and sugar mixture, and Worcestershire sauce. Simmer two minutes. dd a cup of water. Stir until well combined and then simmer for 15 minutes stirring occasionally. Serve on toasted bread or buns of your choice. 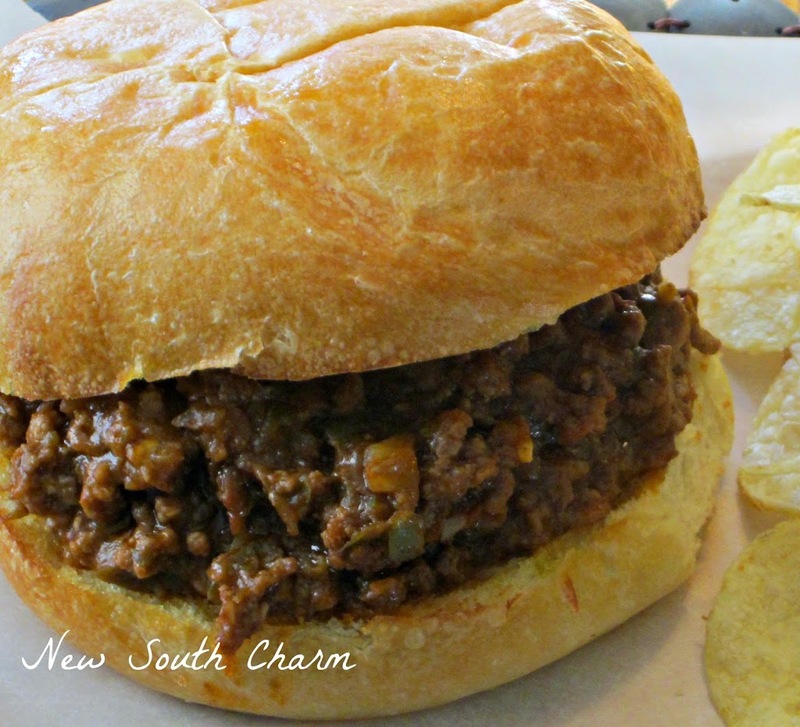 This looks like a great Sloppy Joe recipe. Hope you are having a great week and thanks so much for sharing with Full Plate Thursday. I’m definitely going to give this a try. It looks yummy. Thanks for linking up to Funtastic Friday. Hope to see you again this week.